Check in is available from 4.00pm to 10.00pm (16h00 to 22h00) on the day of arrival. Check-in times outside of those specified must be confirmed with us prior to arrival. We ask that you please vacate your room by 11am (11h00) on the morning of departure. In order for us to confirm a reservation, credit/debit card details are required to secure your booking. The first night deposit will be deducted for short breaks and up to 3 nights for a weekly booking from the card given. If cancelled within 30 days and we are able to re-let the room no other charge otherwise the full cost of stay will become liable. Packages, vouchers or special rates will incur the full cost of the booked stay. They are non refundable or transferable once booked. 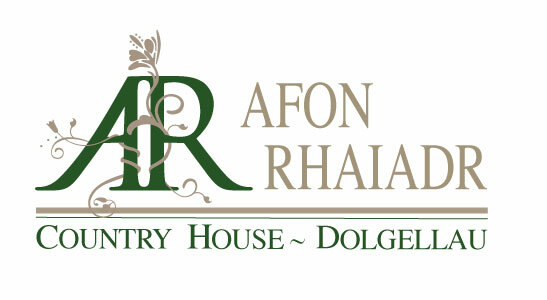 We take all Bookings in good faith, as we are unable to judge reasons for change, cancellation or non-arrival, guests are reminded that no exceptions to the above conditions will be made and that any booking made with Afon Rhaiadr Country House B&B for either accommodation or goods, services, meals or drinks that are pre booked (verbal or written) forms a legally binding contract. For this reason we advise that you take out a suitable insurance product to cover against unexpected costs such as cancellation fees. In addition, we may take legal action, through the Courts, to recover any outstanding debts. Should it become necessary for us to cancel a booking we will contact you immediately. Any payments made will be refunded in full. Our liability will not extend beyond these conditions. A car park is available for guests’ use at the front of the house. Cars parked here are at owners risk. Please take care of our home. You are responsible and liable for any breakages or damages, which you cause to the accommodation or its contents. Please report these as soon as they occur especially if you accidentally spill something – it’s much easier to clean if we know what it is and act quickly. We do not normally charge for breakages, but we reserve the right to charge for repair or making good if the damage is significant. Evening Meals are available each evening. Please telephone or email in advance to book an evening meal and notify us of any special dietary requirements. All meals are prepared to order and therefore we require a minimum of 24 hours notice. Without pre-ordering we will unfortunately not be able to provide a meal on the day of arrival. We are happy to return items that have been left following departure. However, there will be a charge for the postage and packaging and we don’t accept liability of they go missing via the post. We will get a proof of postage receipt and also recommend recorded or special delivery as they have traceability and some insurance. Payment is due on the morning of departure and we accept the following most credit and debit cards as well as cash. If you have booked using a special offer then payment is due on booking and is non refundable. Gift vouchers are only redeemable on our products and services. Gift Vouchers are non transferable and can not be redeemed for cash. Gift Vouchers will expire on the date marked on the Gift Voucher. Gift Vouchers presented after their expiry date will be treated as void and are non-exchangeable and non-refundable. Gift Vouchers cannot be returned or refunded, except in accordance with your legal rights. Afon Rhaiadr Ltd reserves the right to refuse to accept a Gift Voucher which it deems to have been suspected to be affected from fraud. We welcome small to medium size well behaved dogs (clean, toilet trained and quite) in certain rooms by prearrangement only. They must not be left alone in the rooms and that the dog does not sit or sleep on the bed or furniture. You will need to bring a dog bed and blanket. The cost is an additional £10 per night. Smoking is NOT permitted within any part of Afon Rhaiadr Country House Bed and Breakfast. We have a smoking area, which will be pointed out when asked. Please note that offending guests may be asked to leave immediately and may be liable for professional cleaning of any rooms and any outstanding balance of nights booked but not taken through early departure. Afon Rhaiadr Country House Bed and Breakfast reserve the right, at its discretion, to terminate, without notice, an individuals stay where deemed necessary through unacceptable behaviour or as a result of actions which are likely to endanger or offend others (Please note that non compliance of our non smoking policy may constitute termination). In such circumstances any outstanding account must be settled, no refunds will be made. Afon Rhaiadr Country House Bed and Breakfast (“we” / “our” / “us”) provides you with access to the internet in most parts of the building. By accessing the service using either medium you are agreeing to obey the terms and conditions listed below (the “Terms”). If you do not agree to the terms, please do not access the service. We may monitor the performance of our network and the use of it by our guests. If we notice that a guest is using it in excess of what is expected from reasonable normal use and where such excessive use is affecting other guests, particularly during busy times, we may restrict usage. If you do not use file sharing software or download large files from the internet then you should not be affected by our fair use policy. However, if it becomes clear that heavy downloading, peer-to-peer networking, or excessive streaming (i.e. more than simply streaming programme content from websites such as BBC iPlayer, 4 On Demand, or itv.com) is taking place then we may contact you to ask you to reduce your use to allow our other customers to share the system fairly. If you continue to do so, or if you persistently exceed normal use to the extent that it affects our network and other user’s enjoyment of the service, then we reserve the right to restrict or deny you access to the network. • Where required by law or made in connection with legal or regulatory proceedings. This agreement is governed by the laws of Wales and the parties hereto submit to the non-exclusive jurisdiction of the Welsh courts. Most credit and debit cards accepted. First night B & B deposit for short breaks (taken on booking). up to 3 nights deposit for weekly bookings. A booking is taken in good faith and a deposit of the first-night charge is required to secure the room/s. The deposit is non-refundable, as other enquiries for your room/s will be turned away. If cancellations are made less than 30 days before the date of arrival they will be charged at the full room rate and for the duration of the booked stay. Packages with minimum stay requirements, vouchers or special rates will incur the full cost of the booked stay. Special rate bookings are non refundable and non-transferable once confirmed. (We will always try to rebook the room but if we cannot fill the room then the full stay will be charged). Please make sure you have adequate travel insurance in the event that you have to cancel your booking.